Small films find it very difficult to get buyers and get it released in theatres. If the film is backed by any of the big person from the industry then it becomes easy or else the content of the film must stand out. Everything that is concerned with the promotion should be catchy and should generate huge curiosity among youth and movie buffs. 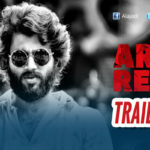 Arjun Reddy is one such movie in recent times which became a hot topic among youth for its teaser and trailer and also promotional strategy adopted by the team. It began as a small film and it is now a hot cake among film buyers. This movie is premiered in main locations and tickets are sold instantly for the craze it has.Lets see how it works on us. 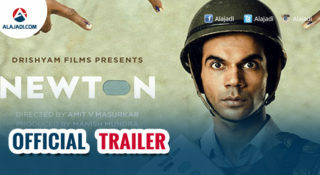 The movie has been in the news with controversies and is now releasing with ‘A’ certificate. Arjun Reddy (Vijay Devarakonda) is a house surgeon who happens to see Preeti Shetty (Shalini Pandey), a junior of him, when he is about to leave college due to a clash in football game. He falls for her at first sight and he decides to not to leave the college. Over the days they both become inseparable and they stay like a married couple. Things do not happen as they expect and they part due to the family problems and Preeti Shetty gets married to some other guy of her caste. Arjun Reddy gets a lot of suffering due to this and his life changes with this love story. What happens after her marriage? 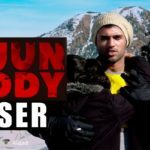 How Arjun Reddy cope with the depression? Do they unite? forms the rest of the story. 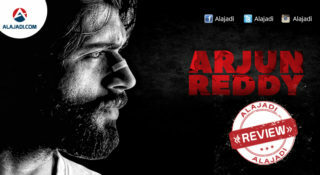 Arjun Reddy is a love story told in a bold and unconventional way which Telugu films are new for. 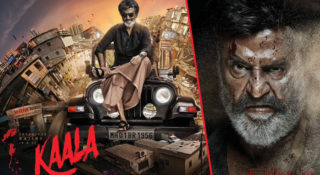 Director Sandeep Reddy Vanga did a superb job in penning the screenplay and executing the same on screen convincingly. He is definitely a superb talent to watch out for. After a superb and highly engaging first half, the film becomes slow and dips towards the climax. Some scenes could have chopped out of the movie to reduce the length. Barring that there is nothing more to complain in this movie. If not for Vijay Devarakonda, I cannot imagine any other actor in the role of Arjun Reddy. Perfect casting helped the movie and its emotion work from the beginning itself. There is a lot for youth to enjoy in this movie. To sum up, Arjun Reddy is a lot more than it’s trailer. Vijay Devarakonda: He breathes life into the character of Arjun Reddy. Probably, no other actor of this generation could pull off the role so well as Vijay did. Shalini Pandey: She is a blessing. She is easy on eyes and came up with really good acting performance. Her expressions look so real, natural during bold and kiss scenes. Kamal Kamaraju, Sanjay Swaroop, Vijay’s friends have all done pretty good job. The film offers finest performances. Arjun Reddy is perhaps the boldest film made in Telugu cinema in the recent times. The film offers you what it promises to be. In fact, more than what we expect from its teaser, trailer. Kudos to debutant director Sundeep who stuck to genre and made a sincere attempt. Writing is intact. Direction is pretty good. Sundeep opted for a non-linear screenplay format which is impressive, new. Songs composed by Rathan are situational and are soothing to ears. Background score is composed very well and it helped the movie in many places. Cinematography by Raju Thota is superb and he is so natural with his work. Editing is good and second half could be trimmed to reduce the runtime. Artwork is nice and production values are apt.